Firefox includes a built in spell checker that can check for spelling errors. However, by default the spell checking feature only checks for multiline fields, which does no good if your typing a single line entry into a single line entry box. 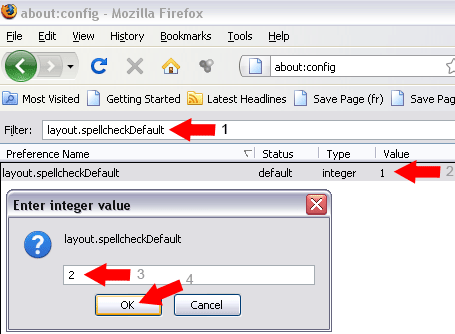 In the following simple solution, I’ll cover the process of tweaking the firefox spelling checker to allow you to detect spelling errors and mistyped words as you type them in single line entry fields. That’s all there is to it. Next time you run Firefox and begin typing into a single line form field (or multiline) spell checker will check your spelling for mistypings as you type.